The Adventures of Push-On Turtle is about friendships, teamwork, leadership in the following of Jesus Christ. The characters give children funny names and crazy characters for a fun self-perception, identity/confidence building, and other real matters that affect our kids in this world today. Along with his best friend Jus'abird, they're never short in their adventures. 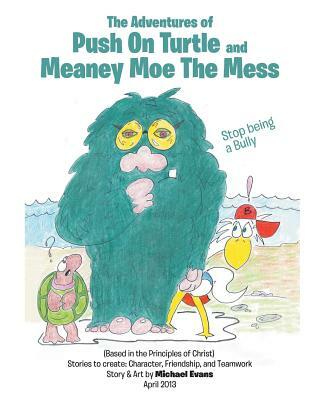 The Adventures of Push on Turtle and Meaney Moe the Mess by Michael Evans was published by Christian Faith Publishing, Inc in October 2018. The ISBN for The Adventures of Push on Turtle and Meaney Moe the Mess is 9781642996609. Be the first to review The Adventures of Push on Turtle and Meaney Moe the Mess! Got a question? No problem! Just click here to ask us about The Adventures of Push on Turtle and Meaney Moe the Mess.